The American Civil War (1861–1865) was a war between the United States Federal government (the "Union") and eleven Southern slave states that declared their secession and formed the Confederate States of America, led by President Jefferson Davis. The Union, led by President Abraham Lincoln and the Republican Party, opposed the expansion of slavery and rejected any right of secession. Fighting commenced on April 12, 1861, when Confederate forces attacked a Federal military installation at Fort Sumter in South Carolina. During the first year, the Union asserted control of the border states and established a naval blockade as both sides raised large armies. In 1862 the large, bloody battles began. In September 1862, Lincoln's Emancipation Proclamation made the freeing of the slaves a war goal, despite opposition from northern Copperheads who tolerated secession and slavery. Emancipation ensured that Britain and France would not intervene to help the Confederacy. In addition, the goal also allowed the Union to recruit African-Americans for reinforcements, a resource that the Confederacy did not dare exploit until it was too late. War Democrats reluctantly accepted emancipation as part of total war needed to save the Union. In the East, Robert Edward Lee rolled up a series of Confederate victories over the Army of the Potomac, but his best general, Thomas Jonathan "Stonewall" Jackson, was killed at the Battle of Chancellorsville in May 1863. Lee's invasion of the North was repulsed at the Battle of Gettysburg in Pennsylvania in July 1863; he barely managed to escape back to Virginia. In the West, the Union Navy captured the port of New Orleans in 1862, and Ulysses S. Grant seized control of the Mississippi River by capturing Vicksburg, Mississippi in July 1863, thus splitting the Confederacy. By 1864, long-term Union advantages in geography, manpower, industry, finance, political organization and transportation were overwhelming the Confederacy. Grant fought a number of bloody battles with Lee in Virginia in the summer of 1864. Lee won most of the battles in a tactical sense but on the whole lost strategically, as he could not replace his casualties and was forced to retreat into trenches around his capital, Richmond, Virginia. Meanwhile, William Tecumseh Sherman captured Atlanta, Georgia. Sherman's March to the Sea destroyed a hundred-mile-wide swath of Georgia. In 1865, the Confederacy collapsed after Lee surrendered to Grant at Appomattox Court House and the slaves were freed. The full restoration of the Union was the work of a highly contentious postwar era known as Reconstruction. The war produced about 970,000 casualties (3% of the population), including approximately 620,000 soldier deaths—two-thirds by disease. The causes of the war, the reasons for its outcome, and even the name of the war itself are subjects of lingering controversy even today. The main results of the war were the restoration and strengthening of the Union, and the end of slavery in the United States. WILLIAM T. DUGGINS immigrated to America from Dublin, Ireland with his mother Alice in 1763 after the death of his father (William). They settled in Fredericksburg, Spotsylvania County, Virginia. He was apprenticed to a silversmith in Louisa County, Virginia. William married Elizabeth Perkins December 16, 1787, daughter of William Perkins, of a well-known South Carolina family of that name. He was a member of the Episcopal Church, and a devout Christian. 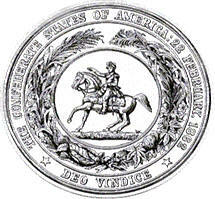 Elizabeth was born in South Carolina, in 1771. William and Elizabeth had 14 children. POLLY DUGGINS, b. 1788, Louisa County, Virginia. JANE DUGGINS, b. 1790, Louisa County, Virginia. ROBERT DUGGINS, b. 1792, Louisa County, Virginia; d. bef. 1872, Virginia. JOHN D. DUGGINS, b. 1796, Louisa County, Virginia. 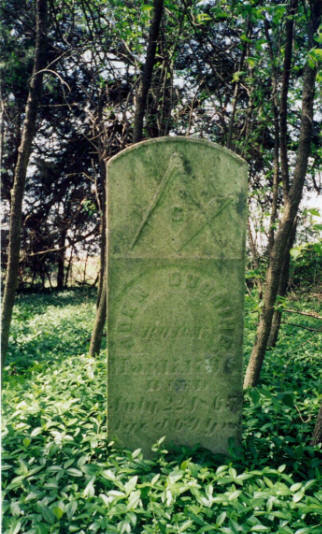 William died June 23, 1827 in Louisa County, Virginia, at 75 years of age. 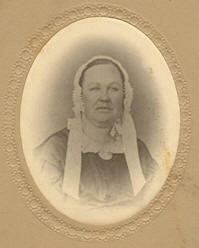 Elizabeth died December 17, 1823 in Louisa County, VA at 52 years of age. JOHN D. DUGGINS was born in Louisa County, Virginia May 1, 1796. He married Frances Elizabeth Dickinson January 20, 1823. The Bondsman for the wedding was Lt. Hudson Martin (see Our American Revolution Ancestors). Francis was born in Fulton, Callaway Co. Missouri January 11, 1808. She was the daughter of Thurston Dickinson and Mary Martin. John and Frances moved from Virginia and settled on the “Moss White Farm” (three miles west of Marshall) Saline County, Missouri in 1834. Together they established the first boarding school in the county which they maintained for ten years. 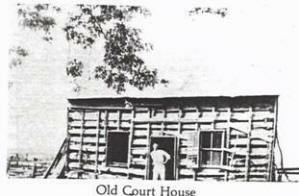 John first built a house, part log and part frame. He hauled lumber for the flooring of his house from Chamber's mill, over the Big Bottom. As the number of pupils increased, so did the size of the Duggins mansion. 2. JOHN WILLIAM DUGGINS, b. 1839, Saline County, Missouri. In 1850, John and Frances moved to Cambridge, Missouri. After a change in the channel direction of the Missouri River destroyed the town of Jefferson, Missouri in 1845, a settlement developed less than a mile down river which was to become known as Cambridge. The town adopted its name from the township and one supposition is that the name Cambridge came from Cambridge, Mass., and the fact that the first county clerk, Benjamin Chambers, son of a revolutionary war general who won fame at the battle of Cambridge, was probably the reason the town was given the name. Frederick A. Brightwell, the first businessman and the first postmaster of Cambridge is credited with giving the town the name although there is no historical validation. 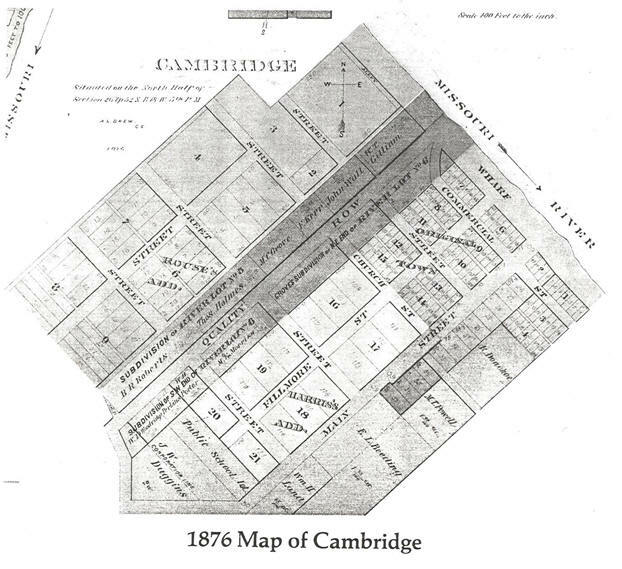 Although Cambridge was first occupied in 1845, it was not until 1848 that the town itself was regularly laid off. By 1876 the population had grown to around 450 people. Among other businesses and at various times there were four general stores dealing in dry goods, hardware and groceries, a harness shop, two drug stores, one or two tobacco factories, hemp bailing machines, a tin and hardware store, steam mill, wagon maker’s shop, blacksmith shop, and a grog shop that was heavily patronized on Saturdays. The town well with its oaken bucket was at the south end of Main Street. The town had a levee, or wharf, as it was called where the steamboats landed. The wharf was graded to an even slope from the top of the river bank to the water’s edge and paved with limestone. It was during these years and prior that the town enjoyed its greatest days of prosperity, when busy boats plied their trade up and down the Missouri River carrying cargoes of necessities and luxuries and sometimes entertainment from the outside world inland, and returning with cargoes of just as much necessity such as pelts, hemp and tobacco to the outside world. There was a school and a Methodist church. The church had originally been organized in 1837 in a school house in Jefferson. As Cambridge itself began to build up, the place of the church meeting was changed to Cambridge and in 1853 a house of worship was erected. Years later the church merged with the Gilliam Methodist church. One parishioner recalled the hymns were started by a leader who, by the trial and test manner using a tuning fork, established the right pitch for singing. The women sat on the west side of the church with the men on the east side. The “amen Corner” was in the northwest part of the church and usually occupied by the older members. A gallery for the colored members was in the rear of the church. The church was later occupied by Wisconsin troops at the close of the Civil War and a stockade built around the church. The first mill in Saline County was built in 1817 about one mile below Cambridge. It was operated by horse power and only ground corn and wheat. During the heydays in Cambridge a Mr. Donahoe operated a mill in Cambridge that was equipped with a single cylinder steam engine. This ground the grain between two old-time millstones. The flour was sifted through cloths that held the chaff and the bran. Wyatt Earp, noted frontiersman and gun fighter, once lived near this community. Nicholas P. Earp and his family came to the county around 1870 and lived on a farm two and one-half miles east of Gilliam. Nicholas had four sons, Virgil, Morgan, Wyatt, and Warren and one Daughter, Adelia. 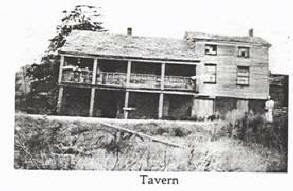 They lived there until 1877 when Nicholas and his wife and youngest son, Warren, moved by covered wagon to California. The three older Earp brothers moved to Dodge City some years before. With the building of the Chicago and Alton Railroad, or rather by its location away from Cambridge, and the building of the towns of Slater and Gilliam, Cambridge was abandoned. 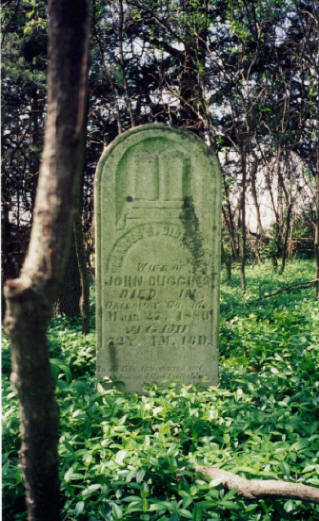 John D. Duggins died July 22, 1865 in Fulton, Missouri, at 69 years of age. His body was interred in Cambridge. Francis Elizabeth Dickinson died May 27, 1880 in Fulton at 72 years of age. Her body was also interred in Cambridge. JOHN WILLIAM DUGGINS was born in Cambridge, Saline County, Missouri November 16, 1839. John assisted his father in management of his farm of 1,200 acres. He followed farming all his life, except four during which he served as township constable and three years in Confederate service, under the command of General Shelby. The Fifth Missouri Cavalry was organized in the spring of 1862. The regiment was known frequently by its nickname, or local designation, of the Jackson County Regiment or the Jackson County Cavalry. A great many members of the regiment were recruited in that county and in nearby counties in western Missouri. Like most Civil War units the Fifth Missouri Cavalry was often known by alternate designations derived from the name of its commanding officer. Unofficial names for the Fifth Missouri included: Joseph O. Shelby's Cavalry Y.M. Blackwell's Cavalry B. Frank Gordon's Cavalry George R. Kirtley's Cavalry George P. Gordon's Cavalry James Garrett's Cavalry George S. Rathburn's Cavalry D. R. Stallard's Cavalry William H. Farrell's Cavalry. Joseph Orville "JO" Shelby (December 12, 1830 – February 13, 1897) was born in Lexington, Kentucky, to one of the state's wealthiest and most influential families. He lost his father at age 5, and was raised by a stepfather. Shelby attended Transylvania University and was a rope manufacturer until 1852. He then moved to Waverly, Missouri, where he engaged in steam boating on the Missouri River and in running a hemp plantation. He was one of the largest slaveholders in the state. During the "Bleeding Kansas" struggle, he led a company on the pro-slavery side. In 1861, Shelby formed a cavalry company and was elected its captain, leading it into battle at Wilson's Creek. Promoted to colonel, he commanded a brigade at Prairie Grove. Shelby led his "Iron Brigade" of Missouri volunteers on what was to be the longest cavalry raid of the war at that time, Shelby's Great Raid. Between September 22 and November 3, 1863, Shelby's brigade travelled 1,500 miles through Missouri, inflicting over 1,000 casualties on Union forces, and capturing or destroying an estimated $2 million worth of Federal supplies and property. He was promoted to brigadier general on December 15, 1863, at the successful conclusion of his raid. In 1864, Union General Steele's failure in the Camden Expedition (March 23–May 2, 1864,) can in no small part be laid to Shelby's brilliant and determined harassment, though in concert with other Confederate forces. Ultimately that Federal force was forced back to Little Rock upon the final destruction or capture of its supply trains at Mark's Mill. Reassigned to the Clarendon, Arkansas area, Shelby accomplished the rare feat of capturing a Union tinclad USS Queen City, which was immediately destroyed to avoid recapture. As summer was ending Shelby then commanded a division during Sterling Price's Missouri raid. He distinguished himself at the battles of Little Blue River and Westport, and captured many Union held towns, including Potosi, Boonville, Waverly, Stockton, Lexington, and California, Missouri. Shelby's adjutant was John Newman Edwards, who later as editor of the Kansas City Times was to almost single handedly create the anti-hero legend of Jesse James. After Robert E. Lee's army surrendered in Virginia, General Edmund Kirby Smith appointed Shelby a major general on May 10, 1865. However, the promotion was never formally submitted, due to the collapse of the Confederate government. The Fifth Missouri Cavalry served the Trans-Mississippi region throughout its career. It served both in the Trans-Mississippi Department and in the Army of Trans-Mississippi. "I won't be reconstructed, I'm better now than then. And for a Carpetbagger I do not give a damn. So it's forward to the frontier, soon as I can go. I'll fix me up a weapon and start for Mexico." Their plan was to offer their services to Emperor Maximilian as a 'foreign legion.' Maximilian declined to accept the ex-Confederates into his armed forces, but he did grant them land for an American colony in Mexico near Veracruz. 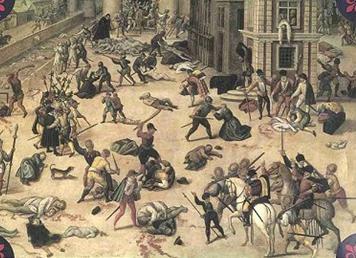 The grant would be revoked two years later following the collapse of the empire and Maximilan's execution. Reportedly, Shelby sank his battle flag in the Rio Grande near present-day Eagle Pass (TX) on the way to Mexico rather than risk the flag falling into the hands of the Federals. The event is depicted in a painting displayed at the Eagle Pass City Hall. The memory of Shelby and his men as "The Undefeated" is used as a distant basis for the 1969 John Wayne-Rock Hudson film by the same name. 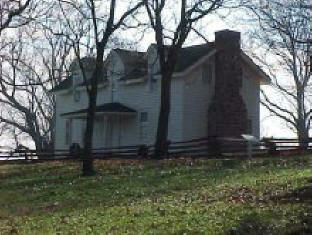 Shelby returned to Missouri in 1867 and resumed farming. He was appointed the U.S. Marshal for the Western District of Missouri in 1893, was a critical witness for the defense of Frank James at his trial, and retained the position until his death in 1897. He died in Adrian, Missouri, and is buried in Forest Hill Cemetery, Kansas City. Slayback's Missouri Cavalry Battalion was organized in northern Arkansas during the late spring of 1864. Most members of the battalion appear to have been recruited in Wright, Texas, Douglas, Christian, Lawrence, Dade, Barton, Jasper, Newton, and McDonald Counties. Some members had served in State guard organizations early in the Warand in a number of regular and irregular organizations subsequently. At various times during the battalion’s short career its members of companies grew from four to seven. The battalion was also known by the names of: Alonzo W. Slayback's Cavalry Thomas J. Stirman's Cavalry Albert R. Randall's Cavalry. The battalion served its entire career in the Trans-Mississippi Department. Two specific higher command assignments were: July 31, 1864 Unbrigaded, First Missouri Cavalry Division, Cavalry, Army of Trans-Mississippi. John W. Duggins enlisted in Company E, 5th Missouri Cavalry in Saline County, Missouri on August 18, 1862 by Col. J.O. Shelby. Private Duggins fought in The Battle of Pilot Grove on 7 December 1862. It resulted in a tactical stalemate but essentially secured northwest Arkansas for the Union. Following Pea Ridge, the victorious Union General Samuel Curtis pressed his invasion of northern Arkansas with the aim of occupying the capital city of Little Rock. Curtis's army reached the approaches to the capital, but decided to turn away after a minor yet psychologically important Confederate victory at the Battle of Whitney's Lane near Searcy, Arkansas. Curtis reestablished his supply lines at Helena, Arkansas, on the Mississippi River and ordered his subordinate, General John M. Schofield at Springfield, Missouri, to drive Confederate forces out of southwestern Missouri and invade northwestern Arkansas. Schofield divided his Army of the Frontier into two parts, one to remain near Springfield commanded by General Francis J. Herron, and the other commanded by General James G. Blunt to probe into northwest Arkansas. Schofield soon fell ill and overall command passed to General Blunt. As Blunt took command, the two wings of his army were dangerously far apart. Confederate General Thomas C. Hindman was an aggressive commander who had just been relieved of overall command of the Trans-Mississippi District. Hindman had issued a series of unpopular, but effective, military decrees which gave political opponents ammunition to have him removed from overall command. Hindman's force gathered at Fort Smith, Arkansas, and sent out approximately 2,000 cavalry under General John S. Marmaduke to harass Blunt's forces and screen the main Confederate force. Unexpectedly Blunt moved forward with his 5,000 men and 30 artillery pieces to meet Marmaduke. The two clashed in a nine-hour running battle known as the Battle of Cane Hill on 28 November 1862. Marmaduke was pushed back but Blunt found himself 35 miles deeper into Arkansas and that much farther from the remainder of his army. On 3 December Hindman started moving his main body of 11,000 poorly equipped men and 22 cannon across the Boston Mountains toward Blunt's division. Blunt, disturbed by his precarious position, telegraphed Herron and ordered him to march immediately to his support from Springfield. Blunt did not fall back towards Missouri but instead set up defensive positions around Cane Hill to wait for Herron. At the dawn of the 7th of December Hindman began to doubt his initial plan to move on Cane Hill and instead continued North on Cove Creek Road with Marmaduke's men in the front. Why Hindman changed his mind is not known, but it is believed, as all generals, that he began to doubt his initial strategy. Little did Hindman realize though that this move would prove useful and allow his cavalry to strike an early deadly blow to the 7th Missouri and the 1st Arkansas. The battle opened on the morning of 7 December with Union General Herron crossing the river and deploying his footsore troops on Hindman's right. Herron opened an intense two hour artillery barrage on the Confederate position singling out individual Confederate cannon and concentrating on taking them out of action one at a time. By noon, the devastating barrage had disabled most of the Confederate artillery and forced many of the Confederate troops to shelter on the reverse slopes. Seeing the effect of his artillery, Herron ordered an advance on the hill rather than waiting for Blunt to arrive. His troops first encountered Confederate cavalry in the Borden wheatfield at the base of a ridge overlooking the prairie. Herron took these advanced troopers to mean that Hindman was planning to attack and capture the Union artillery. So Herron sent forward two regiments from his own 3rd Division to assault a Confederate battery near the Borden house. When his men arrived on the hill they found themselves under a fierce Confederate counterattack from three sides by Maramaduke and Brigadier General Francis A. Shoup. Half of the attacking Federals were wounded or killed within minutes, most near the Borden House. Herron feared the Confederates would make another rush at his artillery and preemptively ordered another charge. This time two regiments were selected from Daniel Huston's 2nd Division. Again near the Borden house, hand to hand fighting ensued. The Federal troops repulsed one counter attack before falling back towards Herron's artillery. Again the pursuing Confederates rushed the Union guns but were repulsed by troops from Colonel William W. Orme's brigade. Meanwhile, Blunt realized that Hindman had gotten past his flank and intercepted Herron. Furious, he ordered his men to march to the sound of the guns. Not knowing the precise location of the fighting, the Federal troops ignored roads and traversed through farm fields and over fences straight toward the sound of battle at the double quick. This movement was probably initiated by Colonel Thomas Ewing and the 11th Kansas Infantry. While Blunt did not order the maneuver he quickly endorsed it even chastising a regimental commander for not showing enough initiative when he failed to follow the unorthodox procedure. Blunt's forces arrived on the field just as Hindman was ordering another attack on Herron's forces. Blunt's division slammed into the surprised Confederates and drove them back onto the hill. The heaviest casualties of the battle were felt during this attack by the 10th Missouri Confederate Infantry, which was caught in the open, at the flank of the Confederate forces. Blunt aligned his two brigades and sent them forward toward the Morton house on the same ridge to the west of the Borden house. Blunt's forces fought somewhat sporadically until being recalled off the ridge. Mosby M. Parsons' Rebel brigade swept across the farm fields of prairie toward Blunt's artillery. Once again the Union soldiers and artillery repulsed the attack and darkness put an end to the fighting. During the night of 7 December and 8 December Blunt began to call up his reserves. Hindman on the other hand had no reserves remaining, was low on ammunition and food, and had lost much of his artillery firepower. Hindman had no choice but to withdraw under cover of darkness back towards Van Buren, Arkansas. The Confederates reached Van Buren on 10 December, demoralized, footsore, and ragged. By 29 December Blunt and Herron would threaten Hindman at his Van Buren sanctuary and drive him from northwest Arkansas permanently. Federal forces suffered 1,251 casualties and Confederate forces suffered 1,317 casualties. In addition, Confederate forces suffered from severe demoralization and lost many conscript soldiers during and after the campaign. Though the battle was a tactical draw, it was a strategic victory for the Federal army as they remained in possession of the battlefield and Confederate fortunes in northwest Arkansas declined markedly from that point on. One month later, on January 29th 1863, John W. Duggins was captured in Howell County, Missouri and received at Gratiot Military Prison, St. Louis, MO on February 8, 1863. When the war broke out, McDowell made his way to the Confederacy, taking his cannons with him. As with many known Southern sympathizers his property was taken and became a barracks. Not long after, word came that 2,000 prisoners of war were on their way to St. Louis. A new facility was needed when Myrtle Street Prison became overcrowded. The McDowell Medical College building became Gratiot Street Prison in December 1861. It was right in the midst of some of the wealthiest homes in St. Louis. General Fremont's headquarters in the Brant Mansion were only a block away. 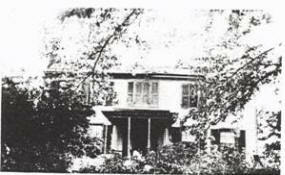 Right across the street was the home of the wealthy Harrison family. Attached to Gratiot on the north was the Christian Brothers Academy. The biggest single escape was in December 1863 when about 60 men escaped through a tunnel. Others cut through the wall into Christian Brothers Academy where they were--without hindrance--shown the exit. This is not to say escapes came easily or without cost--a sizeable number were killed in the attempts and others thwarted. Being in the location it was, in the midst of often sympathetic houses, made it easier to make good an escape. A safe hiding place could be found often as near as half a block from the prison. Most of the dead prisoners were buried at Jefferson Barracks National Cemetery. 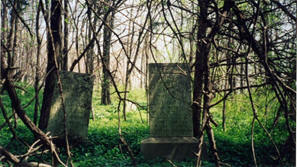 Some were claimed by families and taken home for burial. Some--particularly smallpox victims--were buried in cemeteries at the smallpox hospitals or on a Quarantine Island in the middle of the Mississippi River. The location is now the headquarters of Ralston-Purina and has been for over a century. The original Gratiot building was demolished in 1878. I live in Saline County, Missouri. 1. How many times have you been in arms during the rebellion? 2. What commanders have you served under? 3. What battles or skirmishes have you been in? 4. Did you have arms, or were you out on picket, or what part did you take in the action? 5. Have you ever furnished arms or ammunition, horse, provisions, or any kind of supplies to any rebel? State when, where and how often. 6. Was there any rebel camp near you, that you did not give notice to the U.S. troops? 7. Have you ever been with any one taking or pressing horses, arms or other property? 8. Are you enlisted in the E.M.M. - loyal or disloyal? 9. Are you a southern sympathizer? 10. It's your sincere desire to have the southern people put down and the authority of the U.S. Government over them restored? 12. Have you a wife - how many children. 14. What relatives have you in this rebellion? 15. Have you ever been in any Rebel camp? If so, whose - when, where and how long? What did you do? Did you leave it or where you captured in it? Bartels, "Trans-Mississippi Men", p. 134, shows that John W. Duggins, enlisted as a private in Company H, Slayback's MO Cavalry Regiment, November 1864, Thus it is apparent that he went with the army when it passed through the area during Price's Missouri Raid in the fall of 1864, and doubtless left the state with the army. Slayback's Missouri Battalion participated in more than fifteen various type engagements during its career. By the time John William Duggins had re-enlisted (breaking his oath) the battalion was greatly reduced and broken down by the hardships of the campaign. The battalion retreated into the Indian Territory, wintering there in the winter of 1864-1865. In early 1865 the unit appears to have divided into at least three small detachments. One of these moved to Shreveport, Louisiana, where the Army of Trans-Mississippi had been consolidated. This detachment was included among the Confederate Trans-Mississippi troops surrendered in early June, 1865. It is probable that it had ceased to exist before that date, disbanding when the news of the collapse of the eastern half of the Confederacy was received. A second detachment was scouting near Pine Bluff, Arkansas, when it learned of the surrender of the eastern Confederacy. It appears to have surrendered to a detachment of Kansas Militia at Pine Bluff on May 28, 1865. The third detachment disbanded in southeastern Arkansas in early June, 1865. It is not known to which detachment John Duggins belonged. Twenty years after the close of the Civil War, Higginsville, Missouri was the scene of a re-union of the veterans of the Confederacy on Tuesday, August 25, 1885. Listed among the participants from Joseph Orville’s Shelby’s Command was John William Duggins, Pvt. Co. E, Gordon’s. In 1892, John ran for the office of County Assessor for Saline County. It is not known if he was successful. John William Duggins died December 3, 1902 in Hammond, Louisiana, at 63 years of age. Artemesia E. Hawkins died November 8, 1917 in Calloway County, MO.